Whether you rise very early or have stayed out until the wee hours of the morning, needing to find an open gas station can be a real chore! That is until now. The list below is a handy guide to 24-hour gas stations in Paris by arrondissement. As always, if we’ve left something off the list or there are any inaccuracies, leave a comment. If you’re planning on heading out on the town on New Year’s Eve, the RATP has a little gift for you: free rides on the subway, buses, trams, and RER trains throughout Ile de France from 5:00 pm on December 31st through noon on New Year’s Day. But be advised that the Metro itself only functions in its entirety until 2:15 am. After that, a limited number of lines (and stations on those lines)will stay open. Noctilien bus service will be in effect with certain closures. To get all the details, download the special guide. Have fun! In response to continuing concerns about the paucity of parking spaces in Paris, the city announced December 1st a new scheme to allow parking in spots normally reserved for deliveries. This will create 7,000 new parking spaces during the evening hours (8:00 pm to 7:00 am). The scheme was tested in the 3rd and 17th arrondissements, allowing the city to work out the kinks before going citywide. Under the new plan, delivery zones are divided into those that are shared and those that rest exclusively for delivery vehicles. If there is one yellow line painted on the roadway, the zone is available for parking outside of delivery hours (8 pm to 7 am) as well as all day on Sundays and holidays. If there are two yellow lines, the zone is reserved for deliveries at all times. The American School of Paris is located in the western suburb of St. Cloud. There are two options for reaching the school by public transportation from the city of Paris: the SNCF train which stops in Garches-Marnes La Coquette and the bus which stops in front of the school. By train: If you live in the upper 16th or western part of the 17th, take the métro to La Defense, the last stop on line 1 to the west. At La Defense, exit the métro system and look for signs for SNCF, suburban trains. Using the same ticket you just used for the métro (see below), enter through the SNCF turnstile and take the train in the direction of St. Nom La Breteche. 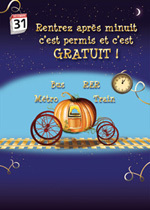 If you live in the eastern part of the 17th, the 8th or the 9th, you will take the train from Gare St. Lazare. Exit the métro system, come up to the street, and go into the main train station. Hanging onto the same ticket you just used for the métro, board the train marked St. Nom La Breteche. Get off at Garches Marne La Coquette. Exit the station to the street. Turn right and walk down the road until you reach ASP, about a 7 minute walk. the final prompts ask whether you want a full fare ticket and how many. By bus: If you live in the lower 16th, 15th, or 7th arrondissements, take the métro or bus to the end of line 10, Boulogne-Pont de St. Cloud. If you take the métro, take the exit marked “Musee Albert Kahn.” The bus stop for the 460 (Traverciel: La Celle St. Cloud) and 467 (Rueil Malmaison RER) is on the north side of the street. If you take a bus (for example, the 52), get off at the stop, Quai du 4 Septembre, and wait for the 460 or 467. You will need an additional ticket for the second bus since it goes into zone 3. Get off at Porte Jaune which is directly across the street from the school. When you make your return trip to school, make sure you get on the bus at the stop nearest to the lower school because both the 460 and 467 service stop there. The stop nearest the front entrance is served by only one bus. The 460 and 467 run frequently at rush hours but only half hour during the middle of the day. You can calculate your own itinerary with exact times by going to www. 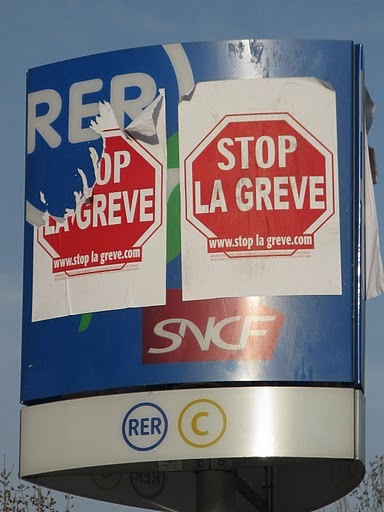 ratp.fr.